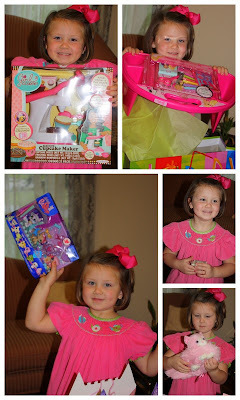 shelly's summary: Brylee's 5th Birthday Tea Party!!!! 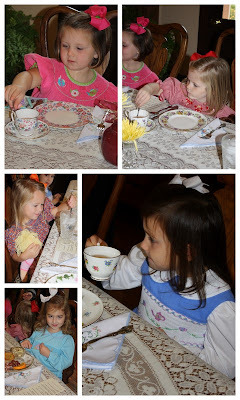 Brylee's 5th Birthday Tea Party!!!! Today was Brylee's Birthday Party. She had a baby and mommy tea party. She invited 5 friends (one friend was sick) and all her friends brought their baby dolls/bears, dressed their best, and came for a tea party. We had it at a tea room / bed and breakfast close to our house. I think they had a great time! It was definitely a little different pace than your average birthday party and the food was not your average birthday party food; but all in all I think they had fun and enjoyed all the sweet things if nothing else. They liked "playing" in their tea the best. They stirred and poured their hearts out. They had three courses to eat and their faces when all the food would come out was priceless. They would look at it like "what is that"... it was too funny. The first course was chicken salad, quiche, and fruit... the fruit was their favorite for sure. The second course was different kind of sandwiches, scones, and strawberry pound cake... the strawberry cake was a favorite for most. The last course was 3 different desserts this was their favorite course for sure. Lastly we had a cake... more sugar! yeah! Birthday Girl and her Cake! And her favorite part of the party opening presents! Thank you sweet friends for coming and celebrating brylee's birthday today. We had a great time and hope you did too. Happy Birthday Baby Girl! 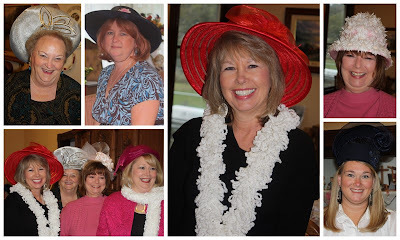 check the website (link to the right) to see more pictures of the birthday party!